Whatever you offer, you must know what niche you intend to serve. With this information, you can craft niche marketing messages that will appeal to the customers and prospects who are most likely to buy from you. Rather than trying to appeal to a broad segment of the total number of potential customers, a niche business can concentrate on attracting and serving the specific individuals who want what the company offers. In this way, advertising, marketing and customer service resources can be directed where they’re most effective and have the best possibility of generating a return. Specialized companies that pursue niche marketing usually work within either an operational or a customer niche. By knowing which segment your business can best serve, you’ll be able to better identify and pursue your potential clients. 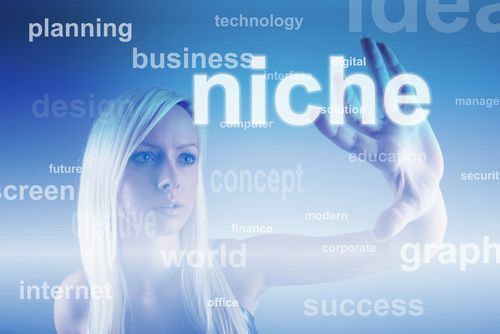 Operational niche: By pursuing an operational niche, a company focuses on specialized products, services and brands that are intended to appeal to a specific narrow segment of customers. A gourmet supply store, a big-and-tall clothing store or a natural foods store will serve an operational niche. Customer niche: Customer niche companies seek to appeal to somewhat wider but still specific customer segments. The specialized products or services are not emphasized as much. Instead, marketing focuses on capturing the attention and purchases of specific audiences. A family-centered retailer or an upscale electronics store will appeal to a wider but still well-defined demographic. Defining your niche is a continual process that requires regular re-evaluation of your market and your offerings. As you learn more about your industry and your customers, you’ll be better able to align your products and services to serve the niche you have chosen. What is your company’s niche market, and how can you use the techniques of niche marketing to more effectively reach customers in that segment? Greetings! I�ve been following your blog for a long time now and finally got the bravery to go ahead and give you a shout out from New Caney Tx! Pingback: Target Marketing: The Backbone of Sales & Marketing Alignment | Continuity Programs Inc.
Pingback: Locating Your Target Market: Narrow It Down for More Success | Continuity Programs Inc.